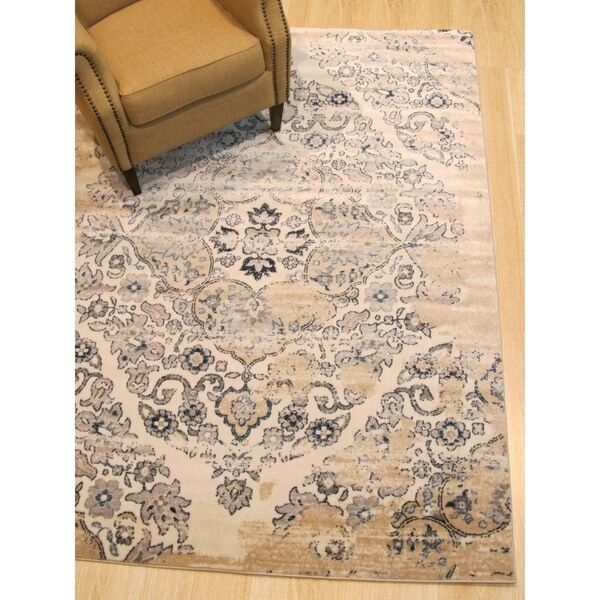 The distressed coloring and look of this traditional rug adds a modern touch to a classic pattern. Making this beauty and easy fit in any décor style. The power-loomed construction and soft polypropylenefiber ensure durability while eliminating shedding. Durable power-loom construction. Distressed appearance and a vintage look. Durable polypropylene fiber with no shedding and easy care. A stunning array of colors create a beautiful pattern. 0.47 inch medium pile height.